Home / Uncategorized / Coming to Theaters 10/5: SHINE the New Latinx-Driven, Dance Movie from GVN Releasing! Coming to Theaters 10/5: SHINE the New Latinx-Driven, Dance Movie from GVN Releasing! 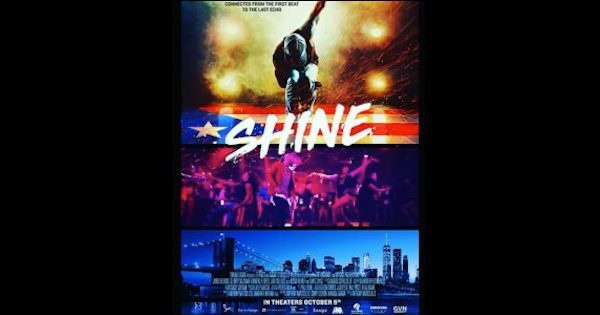 Salsa fan Alex Yarde is excited to share the trailer before his review screener and talent opportunities for the new feature film SHINE, coming to theaters nationwide on Friday, October 5! I’m super excited to share the trailer for SHINE! Surpassing their $100k goal in 59 days Kickstarter campaign in 2015, SHINE is now the highest funded Latinx narrative film to date on the crowd-sourcing platform! I’m awaiting a screener link to write a full review and to hear back for talent interview opportunities, but as a lover of Salsa, I had to get this little gem on your radar screens with the quickness! After 7 years of absence from New York City, Ralphi is back to develop commercial real estate in his old neighborhood. However, upon his return, Ralphi encounters his estranged brother, Junior, who followed in his father’s footsteps, Ramon Matas (David Zayas), and is now an elite salsa dancer and an unwavering activist AGAINST gentrification in the neighborhood.